Toronto Dogs Directory: Can The OSPCA Be Saved? Can The OSPCA Be Saved? If you were to ask a neighbour or friend to tell you what they know about The Ontario Society for the Prevention of Cruelty to Animals (OSPCA), odds are many would tell you they either know someone, or they themselves have adopted a pet from the organization. Some would tell you they have been regular donors of the OSPCA, and longtime supporters of the most prominent charity shelter system in Ontario. What they fail to realize however is that under current provincial law the OSPCA yields extraordinary power, which reaches far beyond the scope of sheltering animals. 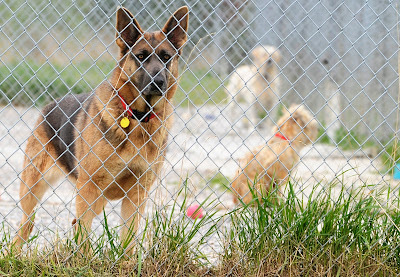 Recent history tells us the OSPCA, once regarded nationwide as a shining example of animal welfare in Ontario, has been reduced to a shell of its former self. While once lauded for phenomenal strides in Ontario animal welfare, the OSPCA has recently found itself consistently mired in controversy, plagued by accusations of mismanagement and abuse of its policing powers. The biggest challenge currently facing progress for animal welfare in Ontario is whether the OSPCA can reform to regain the trust of Ontario citizens, and whether the provincial government will allow it to happen. On July 4, 1873 the OSPCA was formed by citizens concerned about animal welfare in Ontario. As years progressed the organization was given increasing power, particularly with regard to its policing role. In 1887 as a result of OSPCA lobbying, the Ontario Board of Police Commissioners appointed a full time position to a police officer to deal with animal cruelty issues. By 1955 the Ontario government, through the OSPCA Act, granted OSPCA investigators further power, allowing them to enter residences and remove animals they felt were in distress. Keep in mind throughout this period the OSPCA was soliciting donations from Ontario citizens, as well as receiving funds from the federal, provincial, and municipal governments. Many Ontarians began to question the role and motives of the OSPCA, as it seemed a complete conflict of interest to serve as an animal policing force, all the while requesting donations from both the government and the public as a registered charity. If the Ontario Provincial Police registered itself as a charity and began asking the public for donations, you wouldn't be as inclined to donate, would you? Would you be willing to let the provincial government grant members of MADD (Mothers Against Drunk Driving) powers to investigate, enforce, and lay charges against those breaking the laws of the Highway Traffic Act? Of course not, yet that is exactly what the Ontario government has done with respect to the OSPCA. In 2006, in light of the increasing policing powers granted to OSPCA investigators, and fearful of what the consequences would be, 29 of 36 OSPCA directors publicly resigned from the organization. That action alone spoke volumes of the state of the organization. Nonetheless in 2008 the provincial government virtually washed its hands of animal welfare issues in Ontario, passing a piece of legislation that gave the OSPCA near ultimate authority. An amendment to the established OSPCA Act, Bill 50 granted extraordinary policing powers to OSPCA investigators, including the right to warrantless entry (can you imagine the public outcry if such a power were given to OPP officers?). In addition, the OSPCA was granted the right to hold seized animals until an individual's innocence could be proven. Correct me if I'm wrong, but are we still not considered innocent until proven guilty in Ontario?. Unfortunately many are now forced to spend thousands of dollars on a defense (if they can afford to, which is more than often not the case), and through the entire duration of an investigation and trial the OSPCA will rack up boarding fees to be charged to the animal's owner. If after some time one can not pay these fees, the seized animal(s) then become property of the OSPCA. If you were on the OSPCA board would you not do everything in your power to ensure that such investigations and trials take as long as possible? Sometimes the organization does just this by what many consider to be over-zealousness in laying charges. In fact there is a recent case in which the OSPCA have laid charges on an Ontario couple who have been farming for over 40 years, this time to the tune of over $700 000. I ask you to name me one charity that has its own policing force, trains their "officers" for two days (according to former board director Carl Noble), all the while requesting donations (nearly half of which go to pay large salaries to the board and upper management while much of the rest go to legal costs and out of court settlements) from those very Ontarians whose Charter of Rights they are stomping on. In the aftermath of the expensive OSPCA raid on the Toronto Humane society in November 2009 the Crown dropped all charges due to lack of evidence and breach of Charter rights (not the only time the OSPCA has been found guilty of doing so). Unfortunately, much of the Ontario public is not aware of these facts and still views the OSPCA as a simple animal shelter, while nothing could be further from the truth. In May 2010, an event occurred that showed Ontarians just how deep problems run in the OSPCA. On a Sunday evening at the organization's headquarters in Newmarket, Ontario a decision was made by management to euthanize all 350 animals in the shelter due to an outbreak of "extremely virulent ringworm". Ringworm is neither fatal or untreatable. Had it not been for many volunteers leaking the story, the entire animal population at the shelter would have been wiped out. 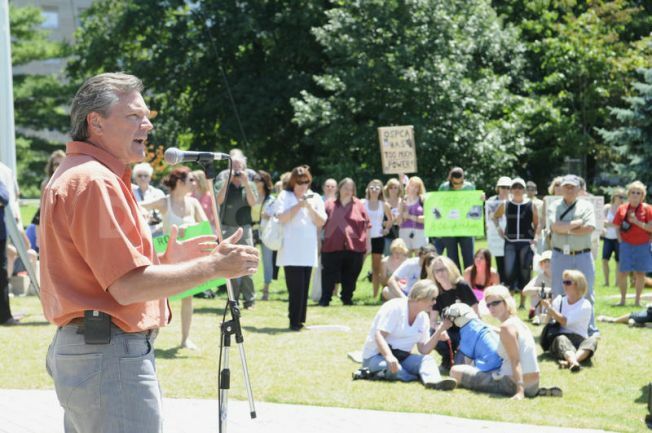 After volunteers spoke out the media began reporting on the issue, veterinarians unaffiliated with the OSPCA pleaded to be allowed to help, the public began protesting outside the shelter, and Newmarket-Aurora MPP Frank Klees rose up in the Ontario legislature demanding a stop to the killings. Unfortunately by Monday morning it was too late, as 102 animals had already been killed. Over the next year the OSPCA had lost the faith of thousands upon thousands of Ontarians. Due to ongoing pressure the OSPCA commissioned an external report on the event, one that the organization promised to release to the public as an act of transparency. It did so nearly one year later, and again not until sources revealed that the report had been in OSPCA hands for some time. The report, conducted by Dr. Alan Meek & Justice Patrick LeSage, found what many had already suspected. There never was any virulent ringworm outbreak to begin with. Why then the killing? Some have attributed the decision to basic incompetence of OSPCA upper management. Others have contended the plan all along was to make room for much needed renovations at the shelter (these renovations have since been completed). Whatever the reason none of those animals needed to die on that fateful evening. One such animal was "Sago", a dog who became the poster child during this time. While volunteer favourite Sago had no ringworm the OSPCA contended he was a violent dog who's aggression could not be curtailed, and euthanasia was the only solution. Unfortunately for the OSPCA, it seems they had forgotten that not one month earlier, Sago had been featured on the cover of the OSPCA newsletter, listed as a perfect family dog ready for adoption. With each passing day it began to appear there was more and more validity to those who were accusing the OSPCA of deceiving the public, government, and donors. 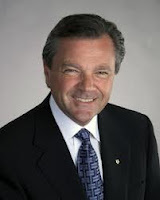 While the investigation was ongoing Aurora-Newmarket MPP Frank Klees introduced a bill before the Ontario legislature. The bill called for the OSPCA to separate itself from serving as both a charity and policing force, and to be held accountable to an external governing body, ensuring transparency to the Ontario public. On November 18 2011 Klees' resolution, while unanimously supported by the Conservative and NDP parties, was defeated in the legislature by the Liberals, who at the time held a majority. Unfortunately it appears even the events of May 2010 failed to serve as a wake up call to the OSPCA and Ontario government. Last summer the organization again found itself under fire. On May 30 a neighbour noticed that Gianna Tramontin's elderly dog Rocky was in the backyard . Concerned for the dog the neighbour called the OSPCA, who then came to Tramontin's residence. Tramontin, a teacher in Etobicoke, was at school and had left Rocky in the yard with shade and plenty of water, as was regular routine. The OSPCA then seized Rocky. According to Mrs. Tramontin, when she came home from work and called the OSPCA she was informed her dog was being cared for, though she later learned that Rocky had been euthanized earlier in the day. According to the OSPCA Rocky was severely dehydrated and they had no choice but to euthanize him. Rocky's veterinarian however stated that the dog, while old, was well cared for and received regular checkups. In addition Rocky's vet questioned why the OSPCA didn't simply hook up an IV to replenish his fluids, allowing time to contact Tromintin and afford her the courtesy to come to the shelter. Meanwhile OSPCA stuck to the story that Rocky had no collar and they were unable to locate a microchip to help them contact Tramontin. Later when Rocky was released to a funeral home, he was wearing his collar and a quick scan revealed the microchip exactly where it was expected to be found. Again the result was public outcry, coming from those who simply could not believe that an organization could enter a home just like theirs, take and kill a dog just like theirs, and then beyond belief, seemingly refuse to contact them. Even if Rocky was in such a state as the OSPCA contended, what gave them the right to deny one woman a last opportunity to say goodbye to her beloved pet? As it turns out, the Ontario government gave them that right. Clearly, animal welfare in Ontario is in a fragile state. While progress is being made, as evidenced by many municipalities recently banning the sale of pets in stores, the fact remains that the OSPCA's apparent refusal to reform itself from within is an enormous roadblock. The current board has, ever since the ringworm scandal, consistently hidden the truth from Ontarians, and the public is increasingly becoming aware of the problems that run rampant through the organization. What is most troubling however, is the fact that time and time again, the provincial government turns a blind eye to an organization that has clearly run amok. Hopefully sooner rather than later politicians will come to their senses and realize the fragile state of animal welfare in Ontario is not a political issue that should be determined along party lines. Until then the time has come for the OSPCA board and upper management to step down, and for the provincial government to step up. Courtesy of The Toronto Star. RIP Sago & friends.